Called Spinal Decompression Therapy, it can end the stabbing, burning and shooting pain in your back and legs within a few short weeks. If you’re like most patients we see today, you’ve suffered from back pain, hip pain, or leg pain for far too long-maybe decades. 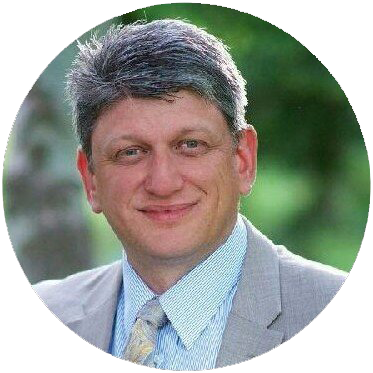 And you’ve tried virtually everything-bed rest, over-the-counter medications, prescription pain killers, physical rehab, chiropractic, injections, acupuncture, traction and maybe even surgery – and so far, nothing’s worked. You’re still in pain. And some days, your life’s a living hell. And that’s not surprising since research shows that most pain-relieving tactics and procedures aren’t effective in treating chronic back pain at all-especially long term. An alternative was needed – something more effective, something less reliant on chemicals, and something safer and less invasive. In other words, something that really worked. The DRX 9000 delivers and we have been using this exclusive program at our locations in Layton, Utah. To understand how it works, let’s look at the low back and its structure. Unlike other structures in your body, discs don’t have a very good blood supply, so once they’re damaged they don’t heal very well. A disc gets its nutrition from the bones above and below it through a pumping motion that increases with movement. But once a disc is damaged or torn, it loses its ability to maintain hydration and becomes dry and brittle. This leads to further damage, inflammation, degeneration and more pain. 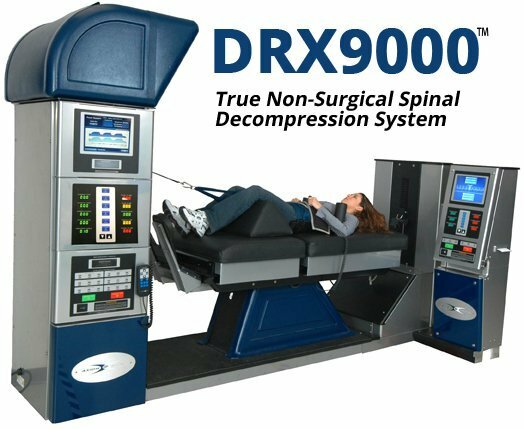 The DRX-9000 is a FDA-cleared therapy (facilitated by a computer and monitoring device) that enables a doctor or therapist to gently, precisely and safely put tension on the lower back and create a negative pressure inside the disc. This negative pressure creates a vacuum effect that actually draws the bulging or “slipped” material back into the center of the disc. Unlike other treatments for back pain, the DRX9000 technology actually heals the discs and makes them healthier. Most other treatments like medication and injections only cover up the pain until it wears off or you aggravate your back again. Not spinal decompression. In a recent study done on previous decompression patients 4 years after their treatment, researchers found that over 91% continued to be pain free.